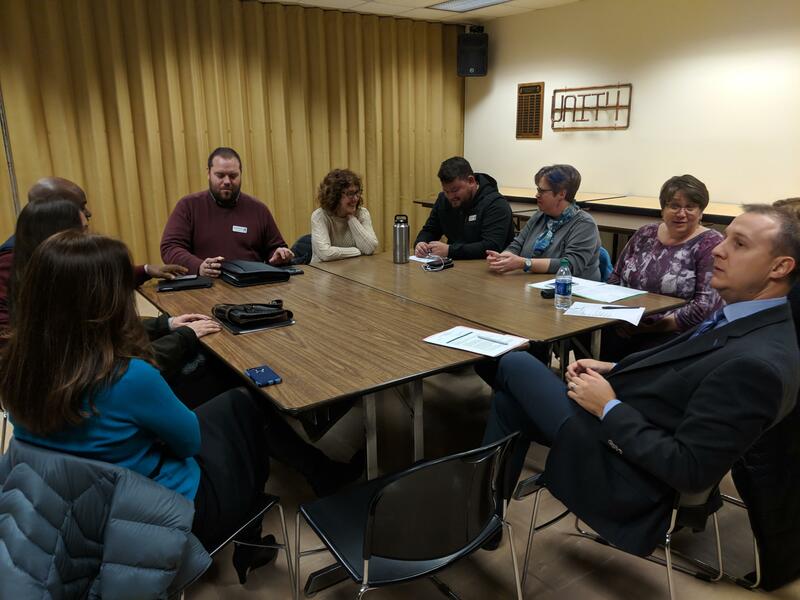 The Champaign Unit 4 Board of Education voted to approve a new teacher contract during a special board meeting Nov. 27, 2018. The Champaign Unit 4 School District has officially avoided a strike. On Tuesday, the Unit 4 Board of Education and teachers union both voted in favor of a new three year teacher contract. 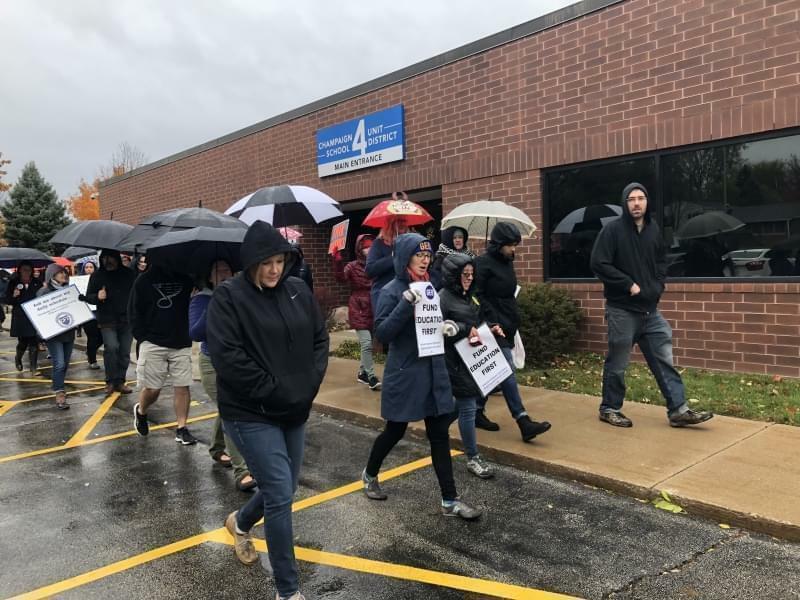 The Champaign Federation of Teachers ratified the contract with 98 percent of members voting in favor, according to CFT president Jennifer White. The board and the union reached a tentative agreement after the CFT filed a 10 day notice of intent to strike. All six school board member present during Tuesday night’s special meeting also voted yes on the new contract, but two voiced concerns around long-standing racial equity issues in the district. Board member Gianina Baker said it wasn’t easy for her to vote in favor of the new agreement. 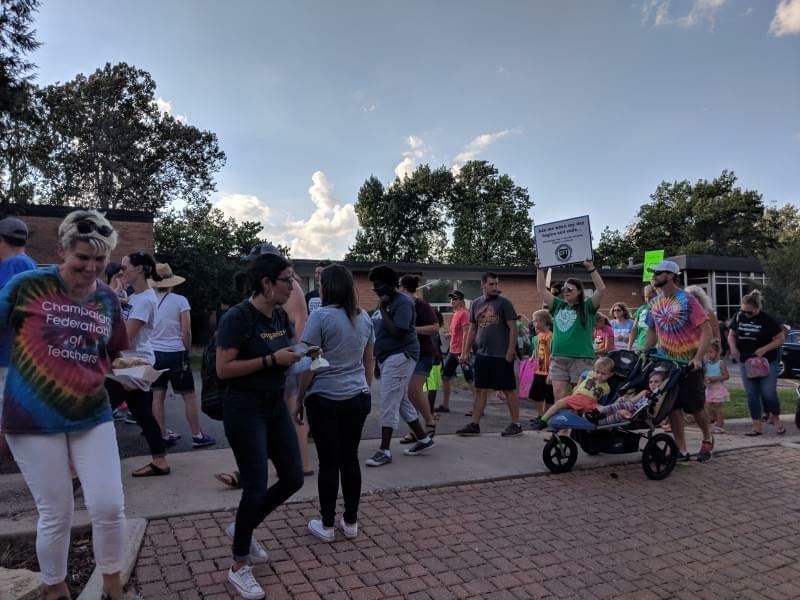 She cited frustration from community members who came out to support a proposed charter school that was voted down by the board earlier this year. The intent of the charter school was to address the fact that children of color in the district are disciplined at higher rates and do worse academically than their white peers. Board member Bruce Brown echoed her concerns. 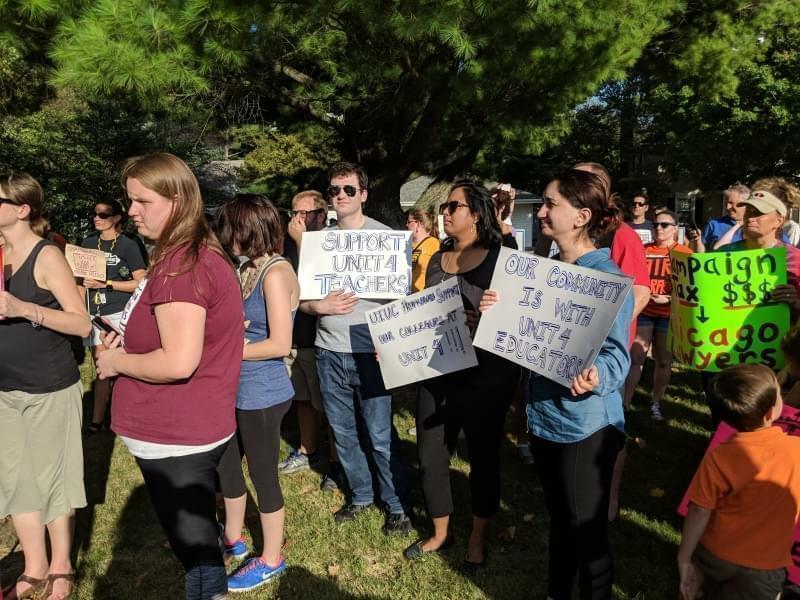 “It’s just unfortunate that here we are six months later and we have nothing in place that will address the equity work for our students,” he said. Brown said he wanted to see additional professional development specifically focused on racial equity and addressing the achievement gap included in the new contract. The agreement includes two additional professional development days with half of each day set aside as self-directed time for teachers. 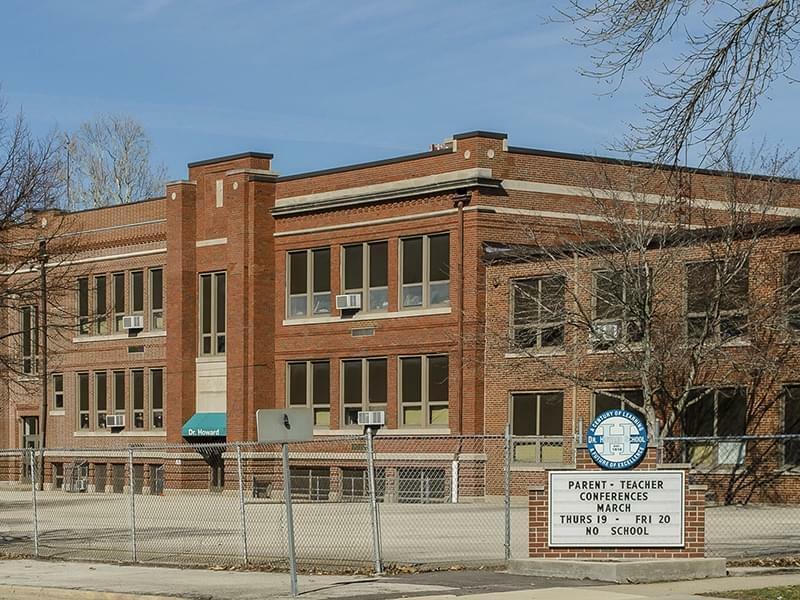 The new contract also includes caps on Kindergarten class sizes beginning at 24 students the current school year, 23 for the next school year and 22 for the 2020-21 school year. Substitute teachers or teachers aides will be provided to classes that go above those caps for a consecutive 30 days, according to the contract. Additionally, the agreement provides compensation or paid leave time up to 21 hours per year for teachers who conduct visits in students’ homes. Teachers on the salary schedule will also receive an average raise of 4.25 percent annually, and those off-schedule will receive a 3 percent boost in pay per year. The agreement includes opportunities for teachers with good evaluations in schools with high turnover rates to receive a stipend of $6,000, as well as language that boosts the starting salary of those who are hired for “hard to fill” positions. White wrote in a text message that the union was thrilled with the contract, particularly the language around Kindergarten class size caps and home visits. The union’s last agreement with the district expired June 30, and the new agreement is retroactive to that date.